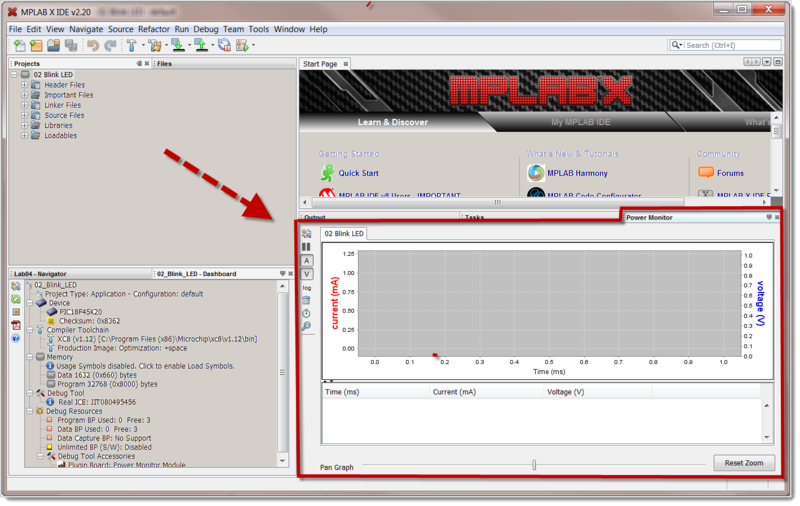 The Power Monitor is connected to the MPLAB REAL ICE in-circuit emulator . The target hardware is connected to the Power Monitor / emulator though an ICSP cable. External Power is applied to the Power Monitor. This power is then supplied to the target board though the ICSP programmer/debugger interface. In DEBUG mode, as the user controls the flow of the application the Power Monitor logs the power consumed by the target board. Using the Power Monitor the user can determine how the individual lines of code effect the power consumed by the target hardware. Only the basic debug features of the emulator are available: RUN, HALT, Single Step, and Line Breakpoints are available; advanced features such as trace, data capture, and run-time watch are not supported. The target board cannot draw more than 1 amp from the Power Monitor. 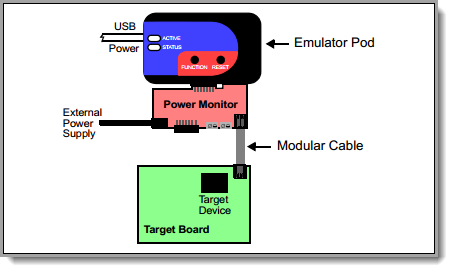 Ensure the emulator is operational and can control the target through the ICSP interface. 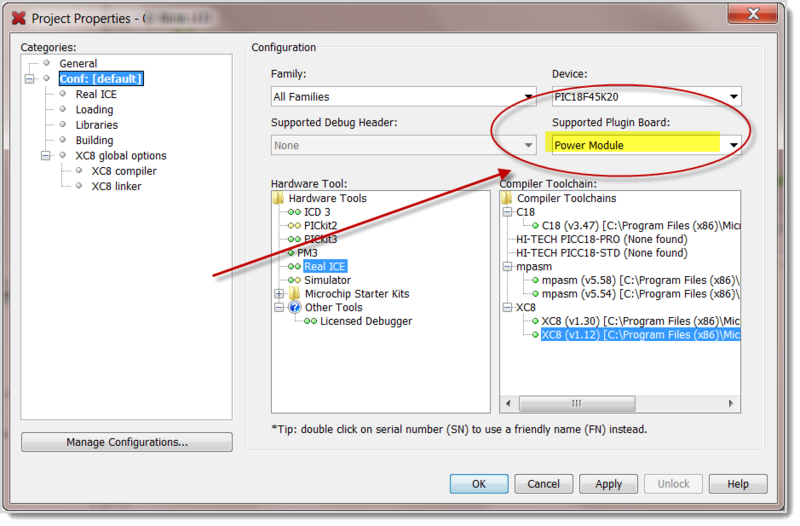 From the Project Properties window select the Power Module from the menu under "Supported Plug-in Board"
From the Project Properties window select "Real ICE" under "Categories". Select Power from the pull down menu. 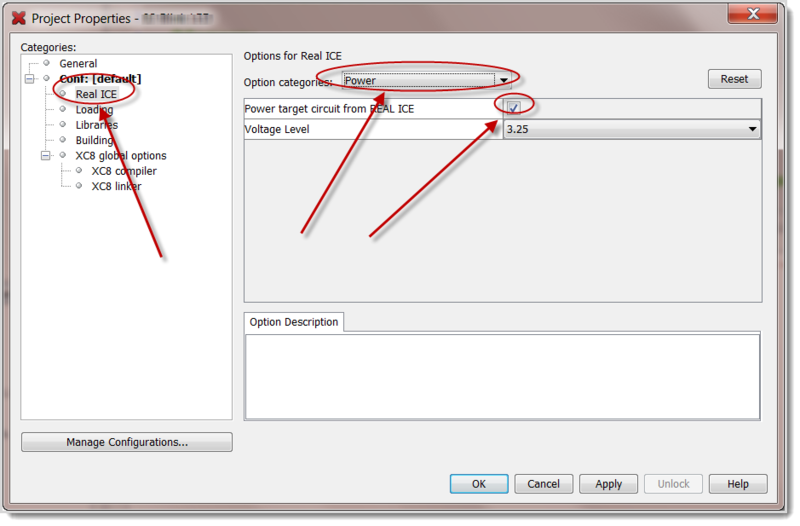 Check "Power target circuit from REAL ICE"
Please refer to the video referenced at the top of this page for sever step-by-step examples of using the Power Monitor. To see the examples, advance the video to the 4:35 point. Additional documentation on operation is available for other configurations in the "Power Monitor User's Guide". 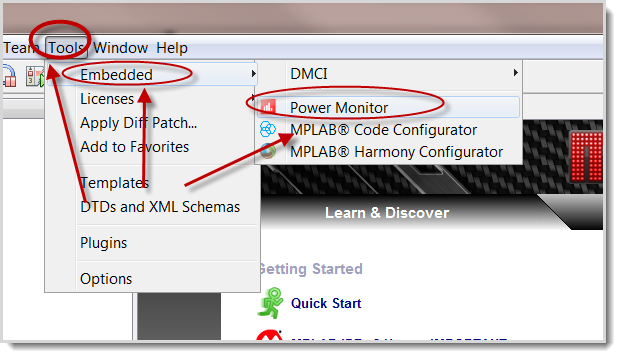 The Power Monitor (AC 244008) may be purchased at Microchip Direct.